He really was cute, but honestly, in a restaurant, – in PARIS? Ofcourse.! It’s Ratatouille!!! While I was lost one evening, I went to the brightest light hanging outside this cafe. As I searched my map for the street I was on, something came into my eye range and I glanced over and it was RATATOUILLE running along the floor. I was fascinated, so I chased him with my camera. He started going towards a couple who were in deep conversation – and through the glass I could see the ceiling of the cafe all the way to the floor…..it’s very open. Now, you would say how disgusting this is that there is a MOUSE in this place of EATING, much less that I am following it. I tried to let the couple know what was coming there way, but the screams that would result, were very clear in my imagination, and honestly, that would just NOT be right . – Everything was so peaceful at that moment, the couple in their conversation, me, the lost soul outside the cafe, watching the peril within……. 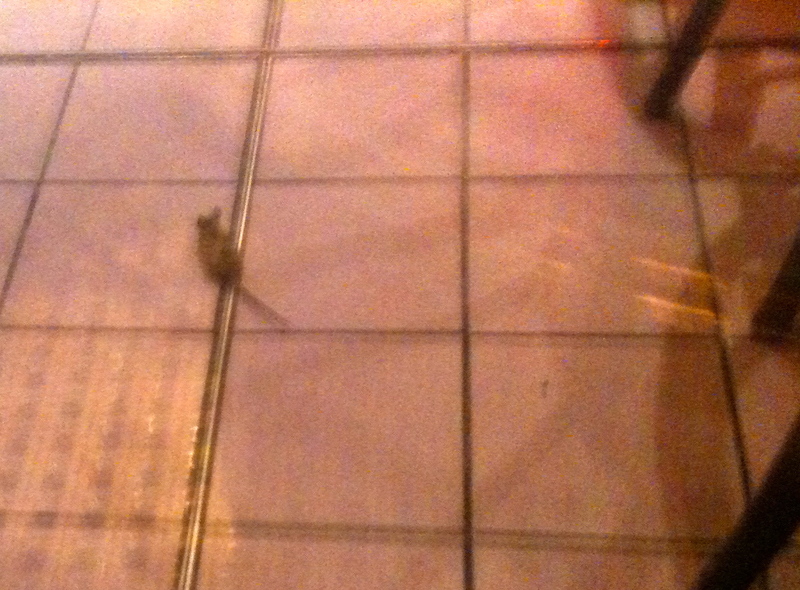 Yes, the cafe was very peaceful, -why motion this mouse to this couple and risk an unpleasant scene? So, I took a picture of him instead as he scampered away. I thought to myself, how many restaurants in all of America have something like this occasionally, but no one can see them because the restaurants are usually fortress like places, never opened from floor to ceiling, views out to the street for the world to see IN ….. and God forbid …..with lights everywhere on the outside and the inside a virtual interrogation like setting. 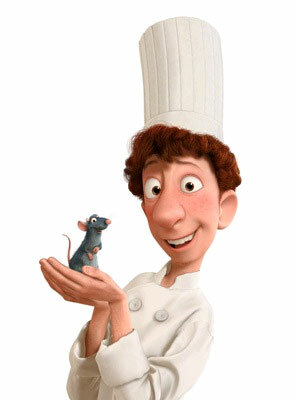 For Ratatouille anyway. Here is my little guy……..
Awwww…….would I never eat at this place because of him? I imagine……….. I think I would still eat there if the prices were right!